In what is arguably the biggest match in women’s boxing history, two pound for pound stars meet at the famous Boardwalk Hall in New Jersey this Saturday night for the right to become Undisputed Middleweight Champion. 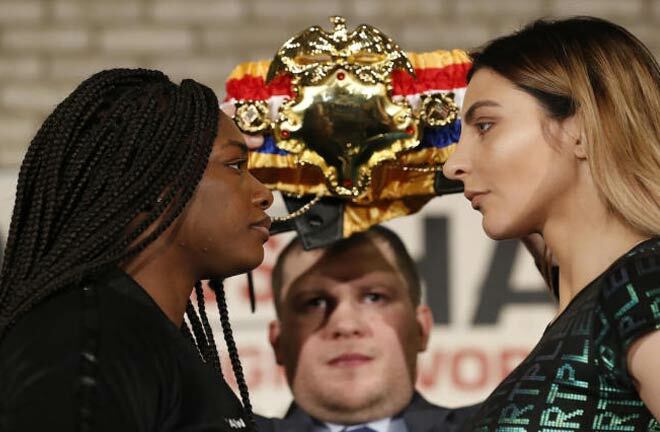 Double Olympic Champion, as well as WBC, WBA and IBF Title holder, Claressa “T-Rex” Shields, takes on the talented, and also unbeaten German, and WBO Champion in Christina Hammer. Showtime are the USA broadcaster, while UK fans can see the action unfold on Boxnation. 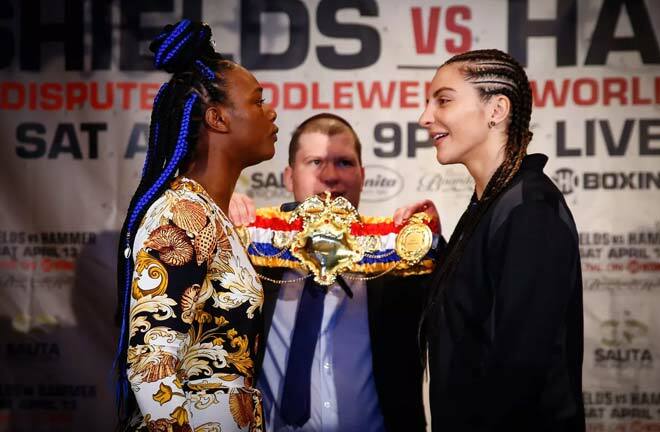 2012 and 2016 Olympic Gold Medallist Claressa Shields faces her first real acid test in a massive showdown with Christina Hammer, with all available belts on the line. It’s a true undisputed Title match in every sense of the word. After a standout amateur career, with only one defeat in 78 contests, 24 year old, Flint, Michigan native Shields turned professional in November 2016. She hasn’t wasted much time in collecting belts. In just her fourth fight, Shields stopped the unbeaten Nikki Adler in five rounds to win the WBC and WBO Titles at Super Middleweight. After one routine defence, she moved down to her more natural Middleweight to meet Hanna Gabriels for the vacant WBA and IBF Titles. The Costa Rican stunned Shields in the opening round, flooring the golden girl. “T-Rex” regained her composure though to comfortably win a wide points decision. It’s been plain sailing since for Shields, winning all twenty rounds in her last two outings. She added the WBC Title to her collection with a shutout of Scotland’s brave Hannah Rankin, before the German, Femke Hermans also lost every round in Shields’ last outing at the back end of 2018. She is in supremely confident mood, and the verbal exchanges between her and her opponent this Saturday have been feisty to say the least. Hammer has been a professional since September 2009, and a bona fide World Champion since 2010. She was born in Kazakhstan, but moved to Germany at just a year old. She is the consensus mythical pound for pound list number two in the sport, nestled behind the superb Norwegian based Columbian, Cecilia Braekhus. In her eighth contest, she lifted the vacant WBO Middleweight Title with a wide points win against Teresa Perozzi in her adopted home of Germany, becoming the youngest ever WBO Champion at just twenty years of age as a result. She has made twelve defences of this belt, but has detoured up and down the weights at certain points in her career, as well as capturing other Titles. Hammer moved up to Super Middle in May 2013 to win the WBO and WBF straps in a dominant points win against the unbeaten Hungarian, Zita Zatyko. She returned to middle for three more simple defences of her belts before meeting Anne Sophie Mathis for the vacant WBO Title at Super Welterweight in July 2014. The match was shrouded in controversy, as, during a clinch, Mathis repeatedly illegally cuffed Hammer behind the ear, causing Christina to fall to the canvas and struggle to get back to her feet. Mathis was originally disqualified, but the result was changed to a no contest on appeal. Since that bout, Hammer has added another seven wins to her record. After widely outscoring Kali Reis in May 2015, Hammer repeated the trick in November 2016, and picked up the WBC Title to add to her WBO bauble at Middleweight. Three more defences of the unified Title followed, before the fight with Shields was set, originally for Autumn 2018. An undisclosed medical condition, later diagnosed as a “digestive ailment” ruled Hammer out, and Shields picked up the vacant WBC belt in her absence, with Hammer made a “Champion in recess”. 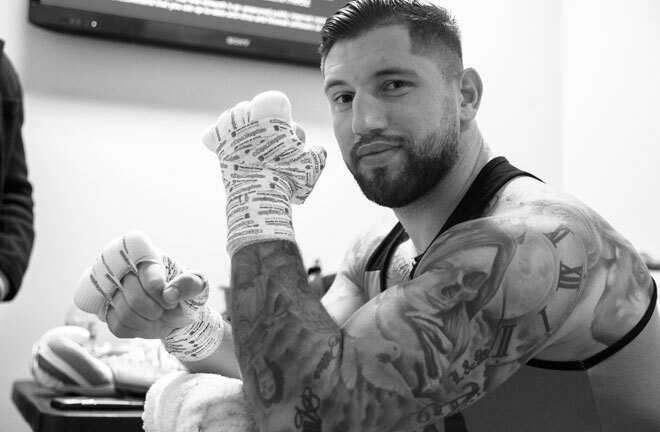 Hammer returned in a non-title tune up in February with a second round knockout of the over matched Elene Sikmashviki. Prediction: I think Hammer will want to start fast, and make Shields respect her early on. Hammer will have early success, and may try and take Shields out of her comfort zone, in a bid to secure some early rounds. I see Shields taking over in the final two thirds to secure a comfortable enough points win.